Situated in a little hamlet in the hills of Marche just 20 km from the sea, Palazzo Cardinale is a historic stately home, fully restored with a total surface area of over 1.060 sq.m with separate guest suites and with a courtyard and small private garden. The outline of the medieval Hamlet of Mondavio, with its bell towers and Castle surrounded by walls that are still intact, appears unmistakable to those who, ridge after ridge, cross the Marche countryside. It's in the historical heart of this tiny jewel that you find Palazzo Cardinali, a noble dwelling that, after painstaking restoration, lives again in all its originality. 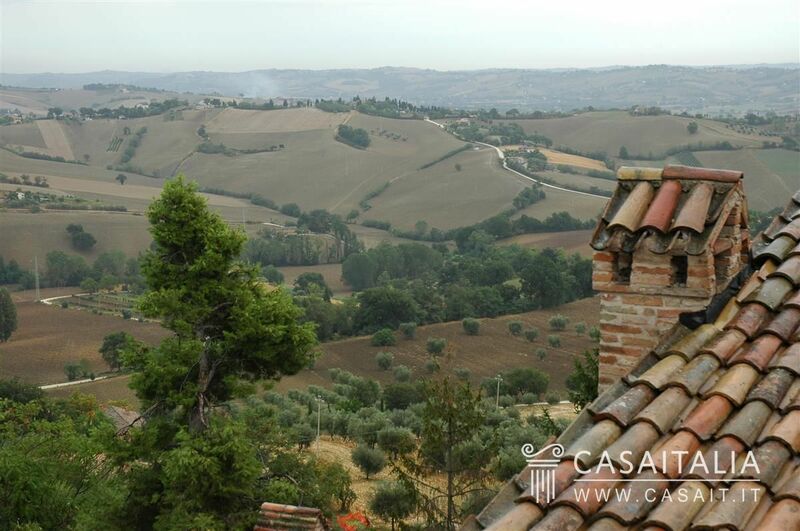 The impressive frame of the countryside opens itself with its mild hills, few kilometres from the sea. 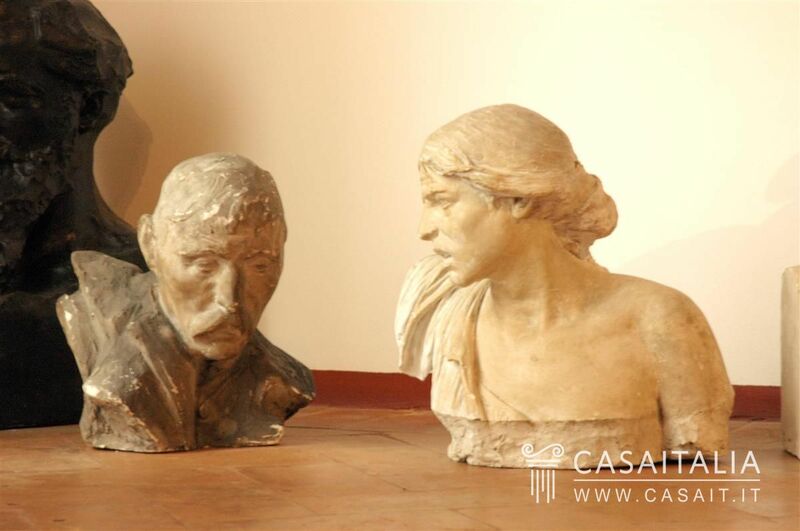 The Adriatic Coast is just 20 km away and in less than half an hour you can reach Marotta (20 km), Senigallia (26 km) or Urbino (26 km), one among the most ancient university towns of Italy. The connection to Pesaro (46 km) and Ancona (60 km) is particularly comfortable via Highway A1. 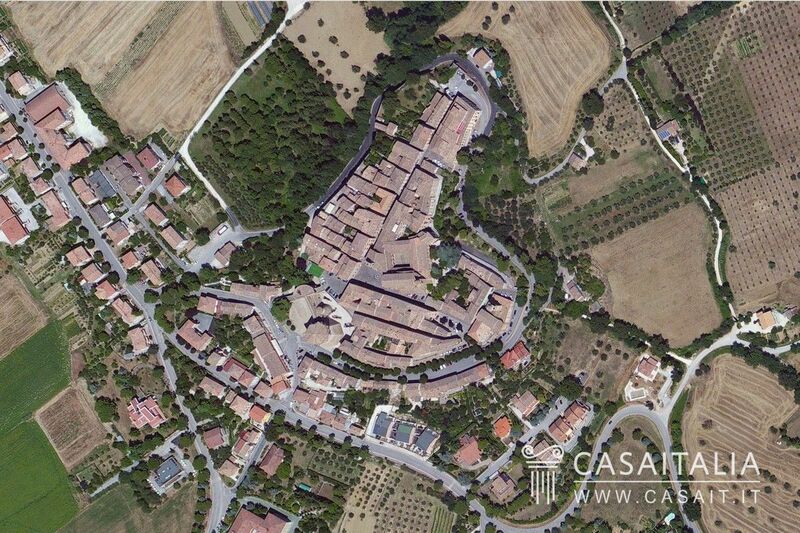 Palazzo Cardinali is disposed on four levels, for a total of 1.060 net sq. metres. - at the basement, the charming spaces of the old cellars, still intact. An old stone portal, facing the main street of the hamlet, frames the entrance of the ground floor, composed of seven wide rooms all around a scenic central corridor with barrel vault. On the right, there are a 30 sq. Metres wide hall, the 26 sq. 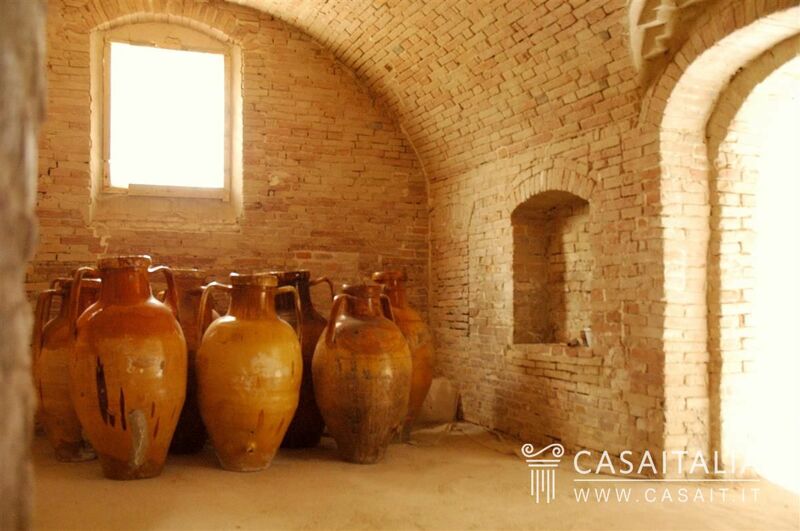 Metres kitchen with fire-set and vaults that rest on ancient stone brackets; the 25 sq. 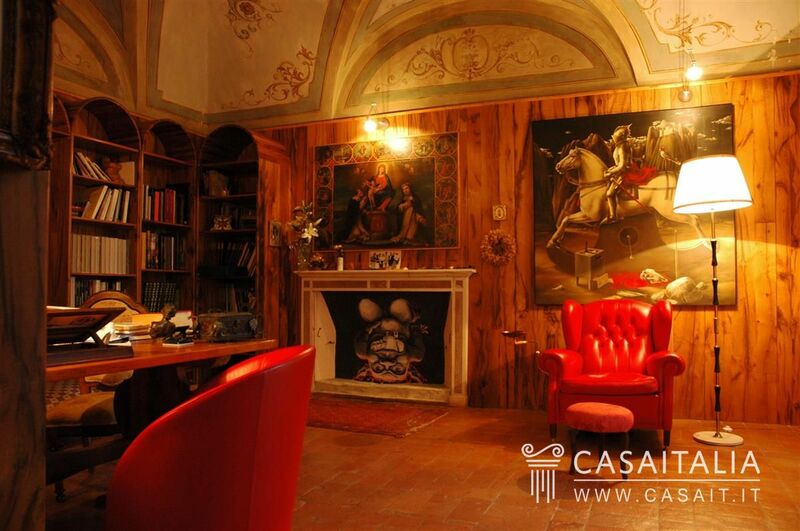 Metres dining room with access to the arcade and to the private garden, one bathroom and a double bedroom. 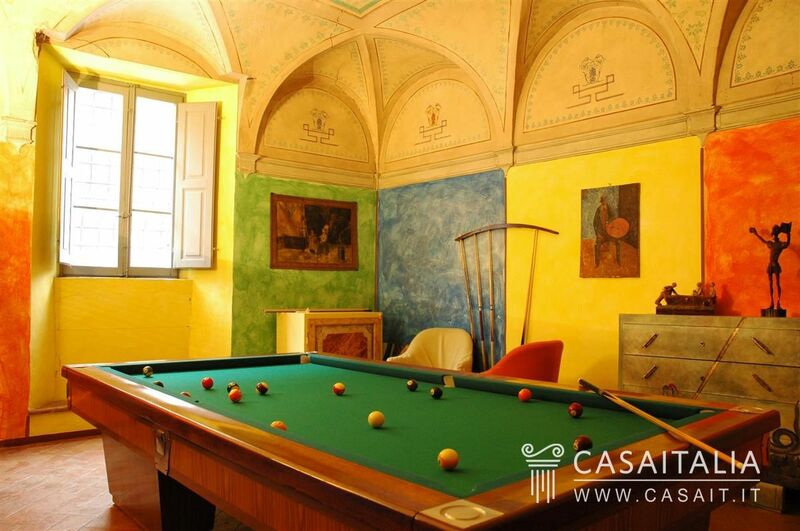 On the opposite side you find a characteristic studio/library with fireplace and a frescoed arched ceiling, a 13 sq. Metres lumber-room and a 33 sq. 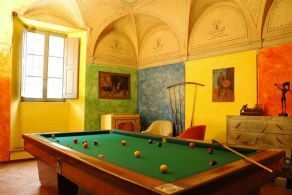 Metres billiard-hall, frescoed as well. 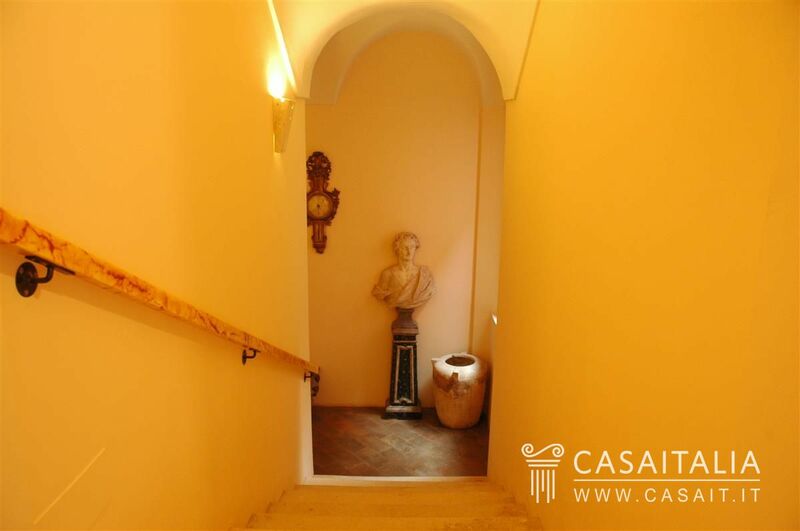 On the same side there is an internal small courtyard and the staircase that leads to the upper floor. 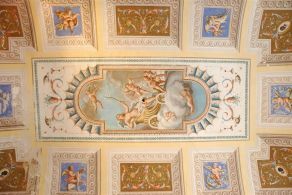 The wide spaces of the ground floor become here even more majestic, the ceilings reach the height of 4.30 metres and the frescoes become more precious, pointing out the splendour of the noble level. 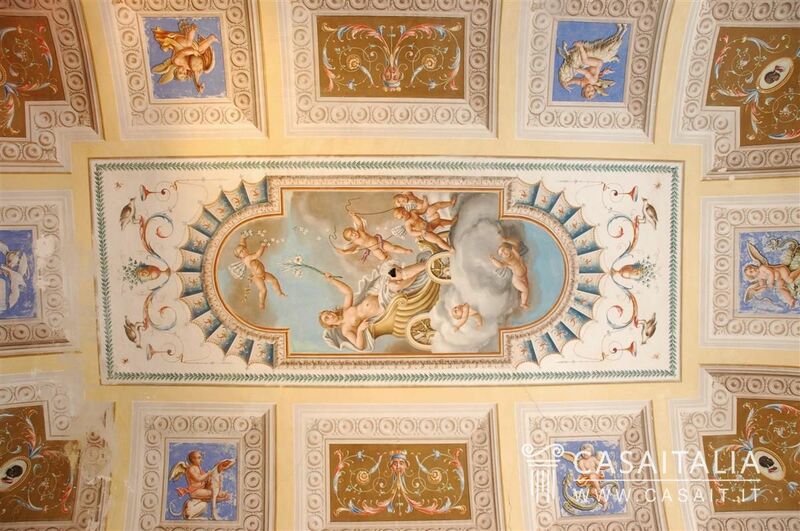 Dictated by the underlying bearing walls, the disposition of spaces is similar to the ground floor, with the central corridor in which the barrel vault, instead of showing the ancient stones as in the lower level, shows off a series of frescoes that scan its course. 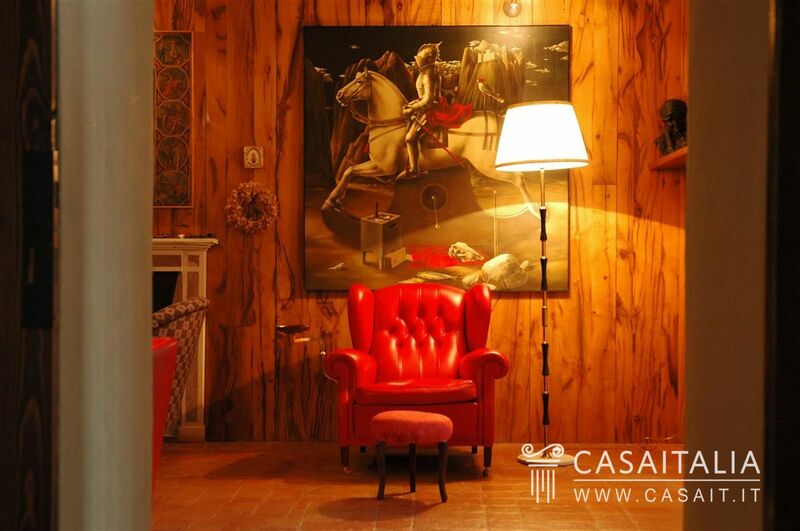 Starting from the right and going anticlockwise, you find six great spaces: a 52 sq. Metres majestic stateroom with a ceiling in wooden beams, a 33 sq. 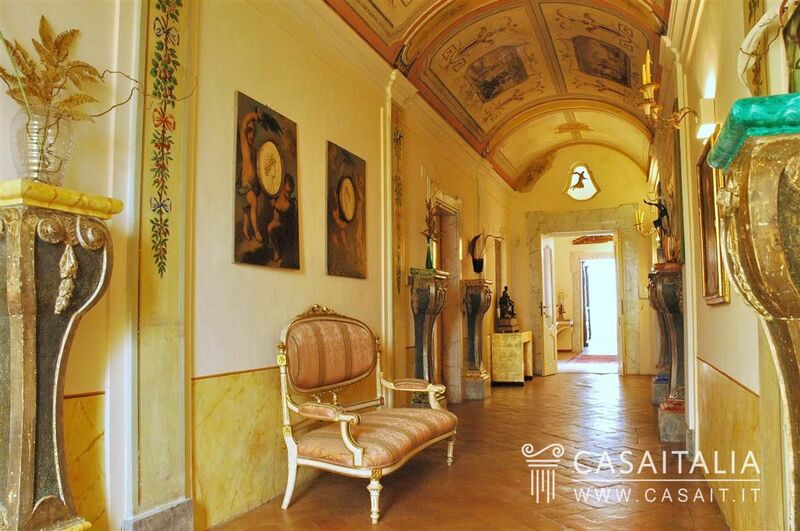 Metres hall with a completely frescoed, arched ceiling and a 24 sq. Metres characteristic living room connected to the 25 sq. Metres owner's bedroom, served by private bathroom and characterised by an astounding vaulted ceiling with frescoes. Proceeding on the opposite side of the corridor, we find a further 31 sq. 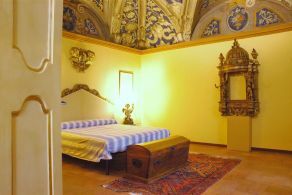 Metres bedroom, with private bathroom as well and a third 26 sq. Metres bedroom served by an adjoining bathroom. The top floor, though internally connected to the lower ones through the stairway, is presently accessible from the private garden through an external stair that makes it independent. Inside there are nine rooms destined for guests or for accommodation facilities, for a total of five units, what with bedrooms and independent suites, all with private bathroom. 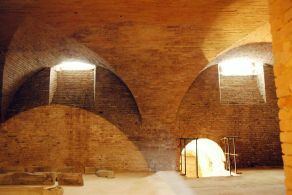 Served by double access, either from inside the apartment and directly from the outside, the old cellars are composed of two main spaces, 85 and 75 net sq. Metres respectively, to which you add the minor spaces, the old tank under the courtyard and a cave dug underground. Both halls present a completely opened and free space, thanks to the big, suggestive vaults that support its roofs. 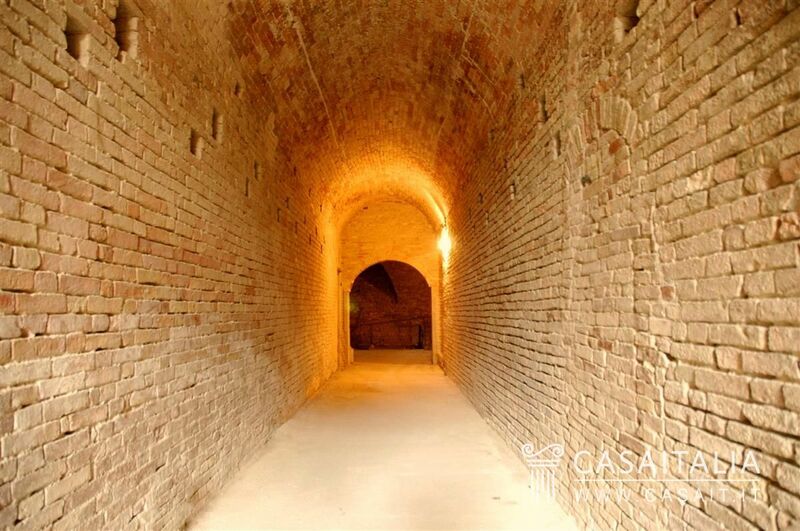 Palazzo Cardinali is a place where time stands still as it protects the bricks, vaults and frescoes with its patina, waiting for someone to unveil them. 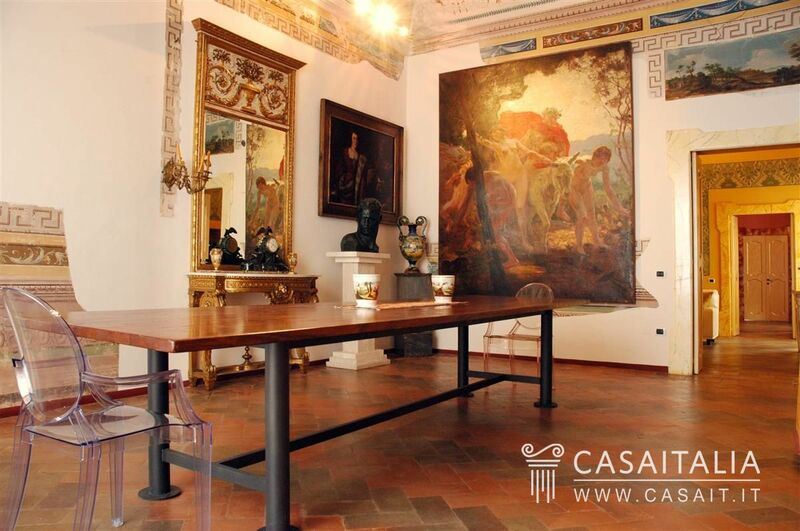 Thankfully, it was a professional, fond of art and history, who rediscovered Palazzo Cardinali; he 'simply' removed the patina of age, finding a noble structure by the precious details in it. 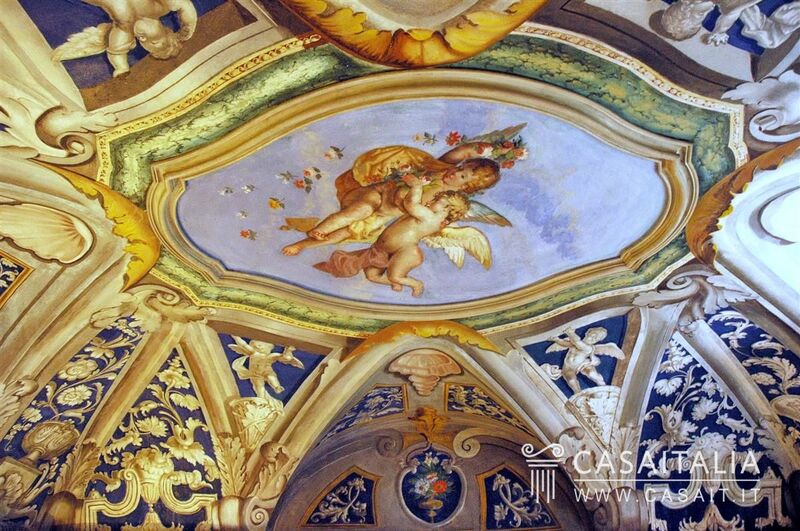 Frescoes have been restored; other ones, previously hidden under layers of lime, have been brought to light again. 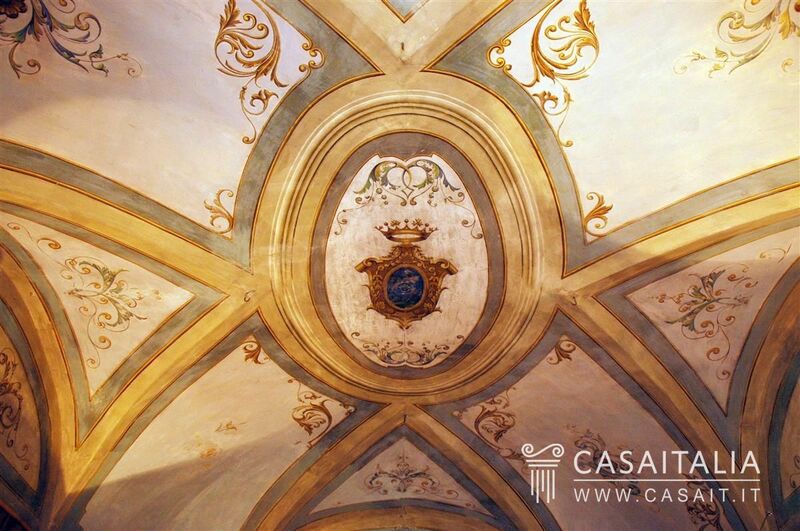 The structure presents an exceptional integrity that finds its highest expression in the diverse use and in the variety of vaults. Realized with bricks that have been positioned edgewise, like in the kitchen, or with tiles which have been laid flat, like in the dining room, all vaults witness the deep care, both in the original plan and in the realization done by the labour of the time and they represent an eloquent explanation of how the structure could arrive to us in such perfect condition. 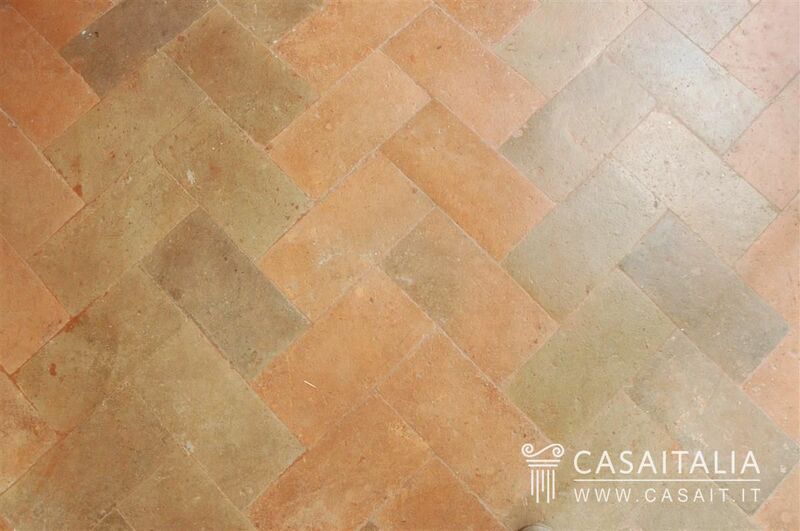 All floors maintain the original terracotta bricks and it was a great surprise to discover in some rooms, hidden under a coat of grey dust, a rare polychrome floor with alternate rows of red and grey/green bricks, the latter obtained through a particular mix, typical of that time, done in the phase before the firing. 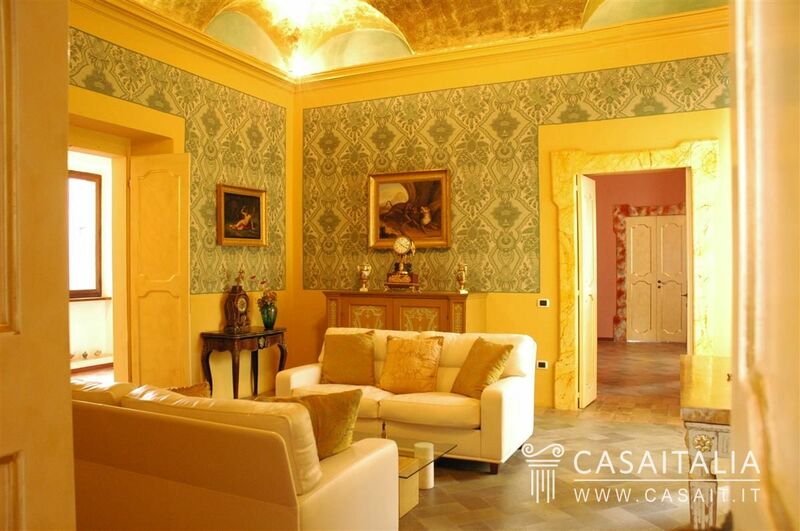 The property is completed by a small private garden with portico and by an internal courtyard. 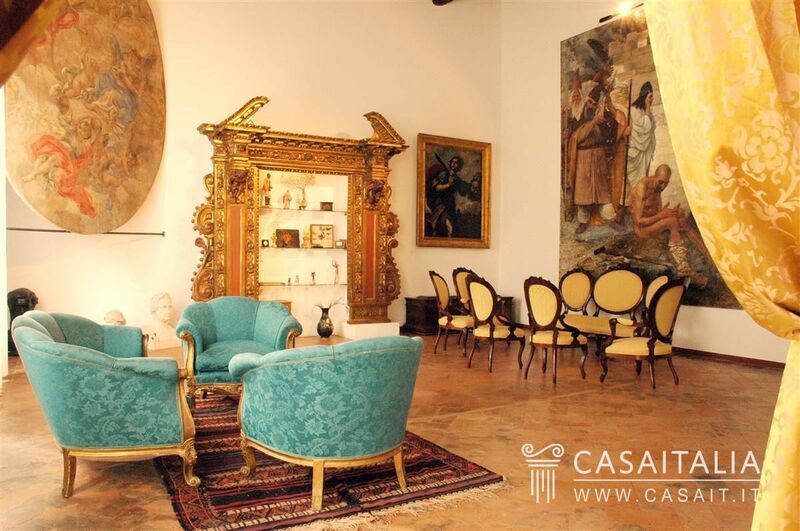 Palazzo Cardinali is an ideal dwelling for enthusiasts of art and history, looking for a prestigious mansion, with the possibility of using the wide and suggestive spaces of the cellars for art exhibitions and of freeing the suites at the top level for the guests. 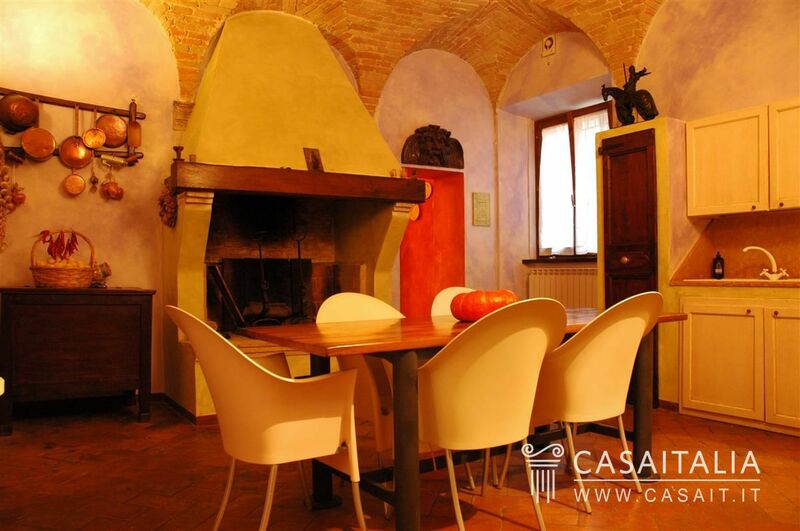 It is also as much suited to accommodation facility, destining the bedrooms for renting and the cellars for meetings and restaurant, directly open on the outside. Main centers: Ancona, Pesaro, Senigallia, Sirolo, Fano, Urbino, Gabicce Sea, Numana, San Benedetto of Tronto. 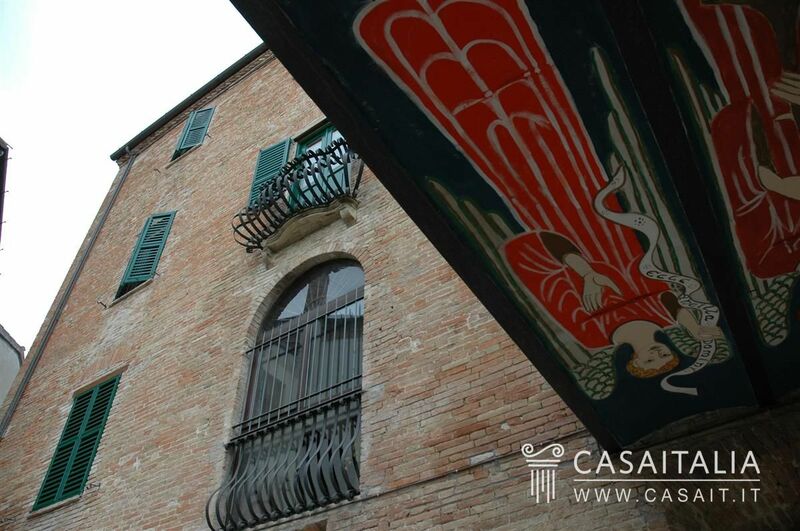 Characteristics: situated on the eastern side of Central Italy, the Marche region is overlooking the Adriatic Sea. The Marche is known and appreciated for the beauty of the coasts (180 miles of coastline) with some fine sandy beaches, other with stones and gravel, and other also with steep rock faces that at times fall sheer into the sea, creating beautiful coves and creeks reachable only through small paths or by sea. The territory is characterized by quaint historic villages and cities of art, by an important natural heritage rich in parks (Monti Sibillini, Gran Sasso-Monti della Laga, Conero, among others) and nature reserves and by the presence of the Apennines, which stretches out towards the sea creating a series of rolling hills. The climate is temperate in the coastal area, with relatively mild winters and summers that are cooled by sea breezes; in inland areas the summers are cool and winters are cold with possible snowfalls. 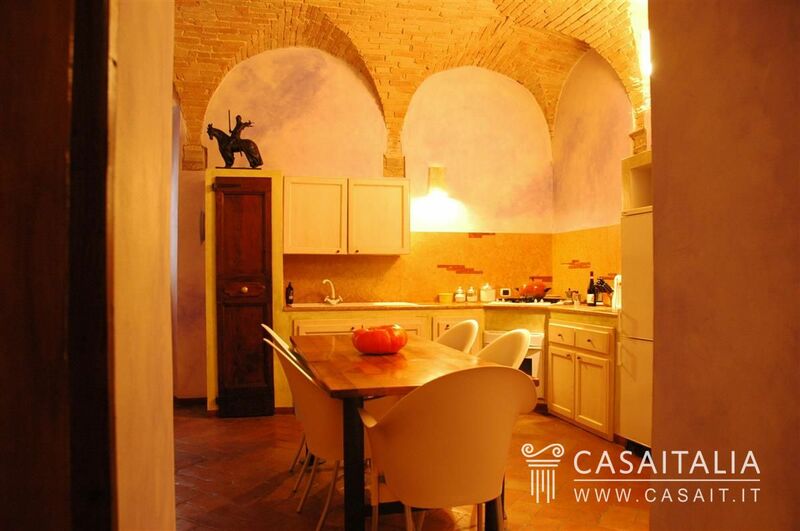 Property offer: the beautiful hilly territory of the Marche is particularly appreciated for its well-cared and intact countryside where you can still find characteristic farmhouses with prices which tend to be lower than in the regions of Umbria and Tuscany. Very requested are also the villas overlooking the sea in Fano, Pesaro, Senigallia, Sirolo, Numana, San Benedetto of Tronto.